Description: Price drop makes this a great deal. Be quick! 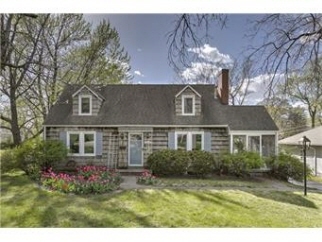 Charming cape cod on huge, treed lot! Houses like this are hard to find! So much charm & character! 2 bedrooms, 1 bath on main floor. 1 large bed, 1 bath and huge dormer area perfect for play room or huge master suite! Screened-in porch off great rm. Formal din room. New windows & staircase redone. Kitchen w/gas range, built-in cutting board & door to back yard. Bsmt features plant room w/water, full bath and storage. Amazing lot with mature trees & shed. Wont last!